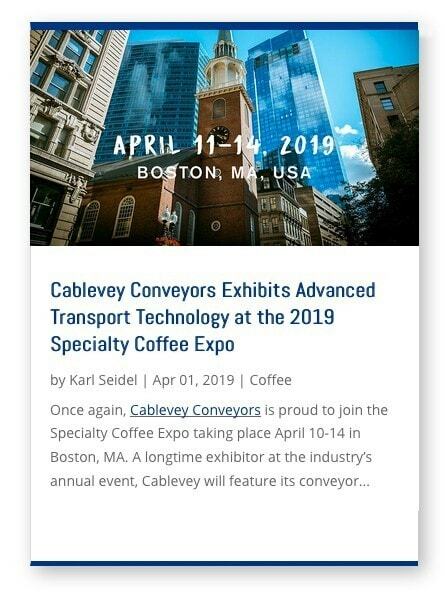 Cablevey Coffee Bean Conveyors for green, roasted, ground and powdered coffee. Cablevey Conveyor systems for Peanuts, Cashews, Almonds, pistachios, pecans and other tree nuts. 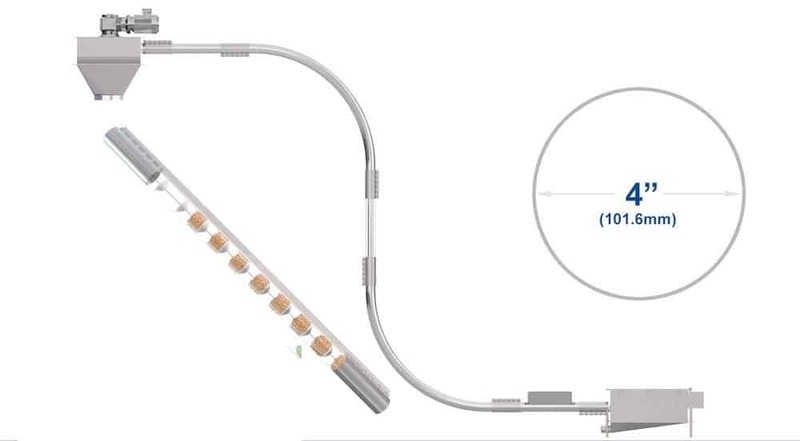 Cablevey Snack Food Conveyor Systems for food batch ingredients and finished products. 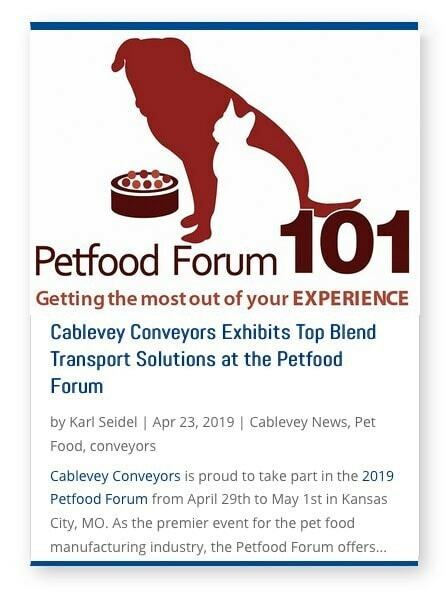 Cablevey Pet Food Conveyor systems for moving all sorts of pet food materials and mixes. 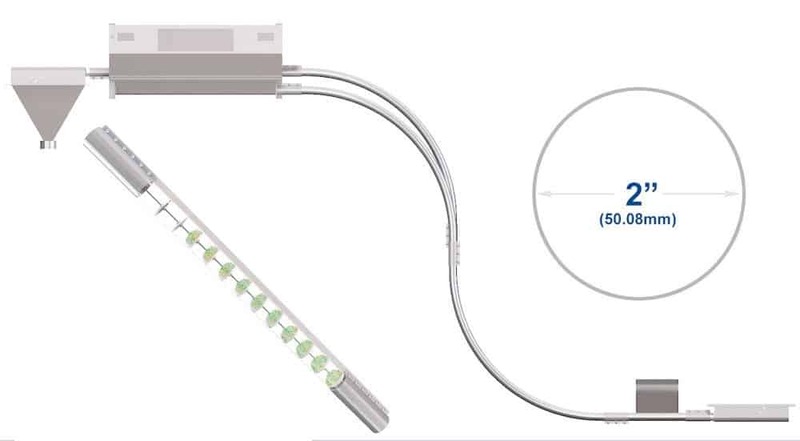 Cablevey Cereal Conveyor systems for food batch ingredients and finished breakfast cereals. 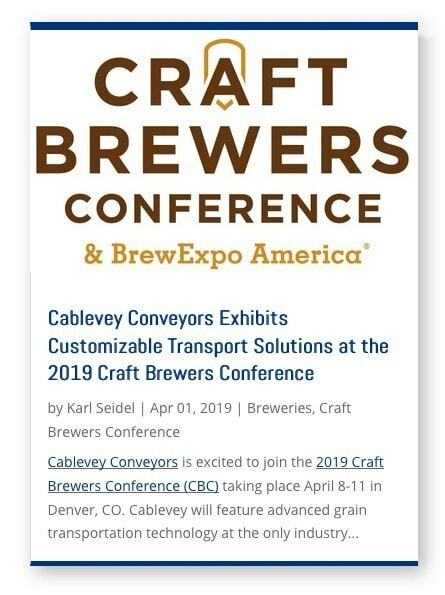 Cablevey Grain Conveyor Systems for many different sizes, weights and combinations of grains. Suitable for moving brewery materials including grain and mash. Cablevey Dry Bean Conveyor Systems for cooked, chopped, powdered and puree materials. Cablevey Frozen Food Conveyor systems for moving all sorts of food batch ingredients and finished products. 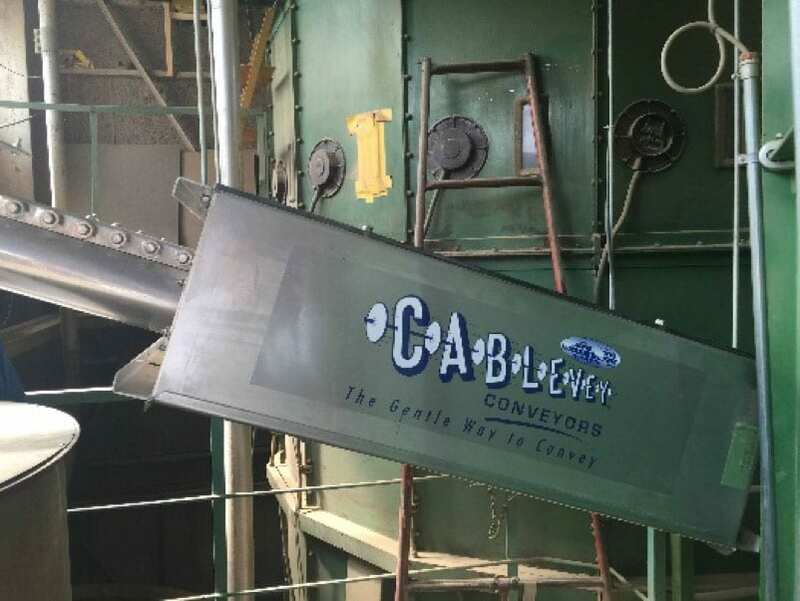 Cablevey Conveyor Systems for biorefinery, biomass (wood pellets), powdered, flake, pellets and fluff plastic. 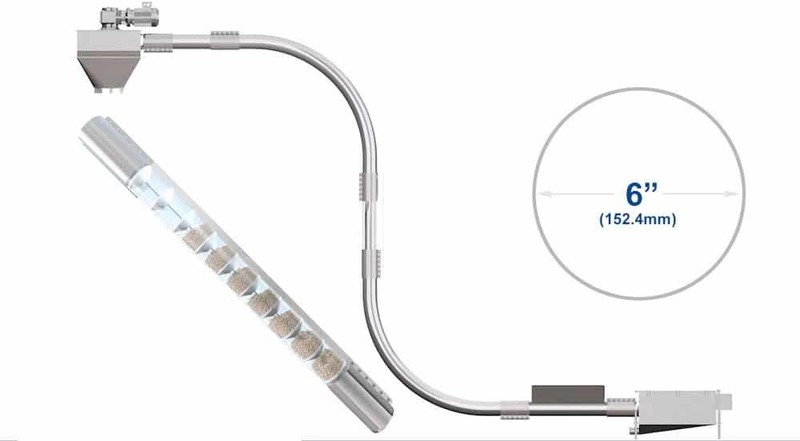 Tube conveyors minimize material breakage and volume loss. Our engineers customize conveyor systems to meet your needs.